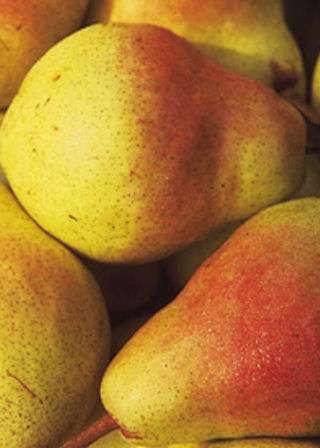 A new addition to our lists, Moonglow is a very attractive pear with a bright lemon-yellow skin. Ready for picking in August and use through September, the flavour is similar to Williams with the soft, exceedingly juicy, flesh having a sweet, musky, lightly perfumed flavour. Suitable pollinators include: Beth, Packhams Triumph, Concorde, Williams etc.